Hydronamic Engineering has an available range of flow restrictors from 80ml to 3300ml and 0.5gpm to 2gpm. 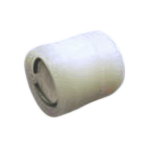 Product Description: The Flow Restrictor Cartridge can be press-fit into plastic connector or elbow fitting sizes 1/4″ MPT x Tubing and 3/8″ MPT x Tubing. It can be purchased separately (for a cavity size .375″ x .400″ press-fit application) or as a completed assembly in your choice of plastic (and some brass or stainless steel) fitting. Dimensions: 2.75″ x 3/4″″ O.D. 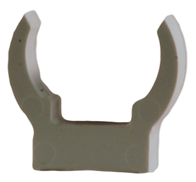 Product Description: This flow restrictor is unique because of its compact size. It incorporates the stainless steel orifice flow metering device, and a sediment filter screen keeps foreign material from impeding restrictor performance. Dimensions: 1.50″ x 3/4″″ O.D. Product Description: The FR2000JD is a compact flow restrictor with two fully integrated ¼” tubing connections. The flow metering options for this restrictor start as low as 80mls. Dimensions: 2.00″ x 3/4″ O.D. © 2019 Hydronamic Engineering. All Rights Reserved.